The University of Arizona will present its updated capital improvement plan to the Arizona Board of Regents during this week's meeting at Northern Arizona University. The plan, which covers fiscal years 2020-22, seeks to address the UA's physical and structural needs to align with the goals and overall vision of the university's emerging strategic plan. In board materials outlining the capital improvement plan, UA President Robert C. Robbins says the plan "helps to better position the UA as a premier public research university with workforce-ready graduates and innovators that will advance the economy and quality of life in Arizona and beyond." The UA is projecting costs for building construction and renewal – which will address major maintenance and system replacement projects, as well as improved code compliance and infrastructure – at $88.28 million. The UA is seeking approval to launch three major projects in 2020: deferred maintenance; construction of an Applied Research Building, to be located next to the Aerospace and Mechanical Engineering building; and a build-out of the third and fourth floors of the Biomedical Sciences Partnership Building in Phoenix. As part of the recently approved state budget, the UA will receive $8.4 million to address deferred maintenance issues in 2020, along with an additional $8.5 million in 2021. These projects will repair or replace aging and deteriorating mechanical, electrical and plumbing systems in buildings throughout campus. The Applied Research Building will provide structure to foster cross-campus research programs focused on applied research. The building will consolidate a number of strategic interdisciplinary programs in one location. Projects within the Biomedical Sciences Partnership Building will create wet lab and administrative research spaces to support faculty recruitment for the College of Medicine – Phoenix. An Interdisciplinary Research Innovation Building, which would be dedicated to multidisciplinary translational sciences research. Centennial Hall upgrades and renovations, which include improving seating, acoustics and sightlines, as well as additional restrooms. 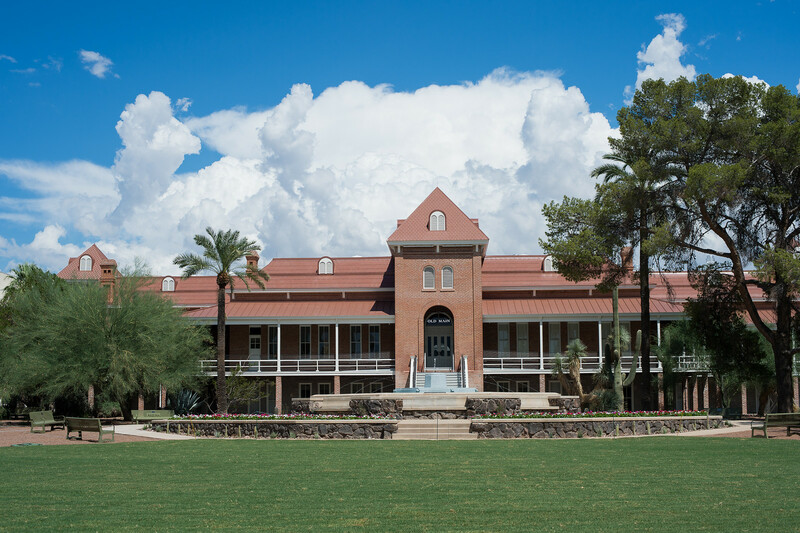 A multidisciplinary complex to house journalism-related programs, including Arizona Public Media, the School of Information, student media services and journalism. A partnership between the UA and Arizona State University to develop a central chilled water plant for the downtown Phoenix campuses. Additional improvements to Arizona Stadium. The UA will request board approval to purchase a 5,700-square-foot residential property at 1516 E. Drachman St. The purchase was requested by the owner of the property, which is located between two UA-owned properties, including the UA's Facilities Management electrical shop. The board's academic affairs committee will review the annual college completion report and discuss initiatives to advance educational attainment in Arizona.